One of the most asked questions of anyone considering a car salesman career is how much do car salesmen make. My standard answer is that they make as much as they want to make because they work for a car sales commission. In other words their earnings are based on the amount of cars they sell, which is dictated by the specific pay plan that the dealership (where they are employed) uses to compensate their salespeople. 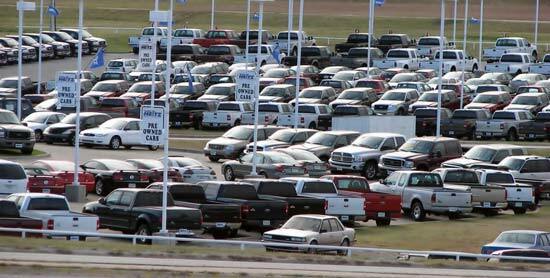 If you check out the Bureau of Labor and Statistics you will discover that in 2011 the average car salesman earned slightly over $42,000 a year for an average of about $20 an hour. That averages out to approximately 42 hours a week. Not what I would consider the average hours worked where car salesmen are concerned, but we will get into that later. If are wondering do car salesman get paid hourly you need to learn more about working on commission and the earning potential available to the car salesperson. Let’s take a little closer look at these numbers about how much do car salesmen make. If we break this down a little further the bottom 10% of car salesmen (car saleswomen included) are earning about $18,000 a year and the top 10% are earning about $75,000 a year or more. If we break that down even more the bottom 10% are earning an average of hourly wage of about $8.70 an hour and the top 10% are earning about $36.00 an hour (I doubt that). Remember, I am using the numbers from United States Bureau of Labor and Statistics. Have you changed your mind about how to become a car salesman yet? Well, don’t be too quick to pass judgment on a car sales career just yet. Don’t let these numbers scare you because a variety of other reliable sources are reporting how much does a car salesman make as being considerably higher. These other sources also have looked at the professional car salesman earnings a little closer and they are stating that there is a difference between salespeople that sell new cars or used cars and a combination of both (My personal favorite). You also need to keep something in mind when you are asking how much do car salesmen make. The statistics used include numbers from large metro area car dealerships and those that sell used and buy here pay here cars on the corner where an old gas station was once located. These numbers may also include the two or three man operation that buys and fixes up old beaters to sell and part-time employees that may do the repairs as well as sell cars. These operations could be located in small one-horse rural towns that only sell a couple cars a week. It’s all relative, but my primary objective here it to educate you on how much a professional car salesman earns on an annual basis. I have spent many years in the car business working in many different car sales capacities and in my travels, I have visited with numerous professional car salesmen and women. I have discovered that there is no such thing as average when it comes to a car salesman salary or how much do car salesmen make. 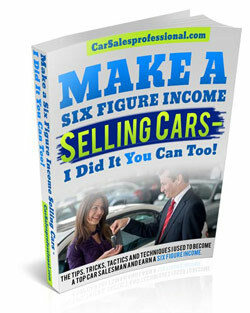 I have heard of car salespeople making anywhere from $25,000 a year to $250,000 a year. To be fair those that were earning in the $25,000 range were often working in small towns and rural areas and being paid a flat fee per car sale. There were rarely spiffs, bonuses or incentives for the car salesman to sell more cars or reach a determined number of units for a bonus. There were a few that were working in the same size dealerships as car salespeople earning a six figure income selling cars. These were either newbies or those that needed to get with the program or thinking about changing careers. The top car salesmen earners were typically located in metro and or suburban areas. Most of the salespeople in these areas ranged from $45,000 a year all the way up to $250,000 a year. Recently I talked to a car salesman in the Chicago Suburban area that earned $234,000 in 2012. He sold new and used and he has been selling cars for approximately 15 years. He worked quite a few more hours than forty a week, in fact, he said on average he worked about 60 hours weekly. He takes three weeks of vacation every year and occasionally a day off now and then. That is what you call a car sales professional and is definitely not concerned about the average commission for a car salesman. If you are thinking about being a car salesman will you focus on the bottom car sales salary or will you be shooting for top 10 or 20%? If all you can think about is living on how much do car salesmen make that are among the bottom 10% of their profession don’t bother. Find some other way to earn a living because there isn’t any room for those that want to earn the average salary of a car salesman. The required car sales skills for being a success don’t include a desire to be mediocre. To all of you car salespeople out there that are selling cars for a living please go to the bottom of the page and fill out the anonymous survey about how much do car salesmen make a year. Please answer all of the questions (or it won’t be published) and don’t worry about your identity. I will not publish any email addresses or anything that will identify you or your dealership. This will give other visitors to this car salesman website an idea of the earning potential of a car salesperson or lack of. I will add information to the chart below as you guys and girls fill out the survey. Please fill out the survey so everyone can see how much do car salesmen make. If you car salesmen and saleswomen submit enough surveys I will start sorting them by state, brands, amounts, years selling, etc. Find out which car salesmen make the most money. Check out How Car Sales Commission Works.